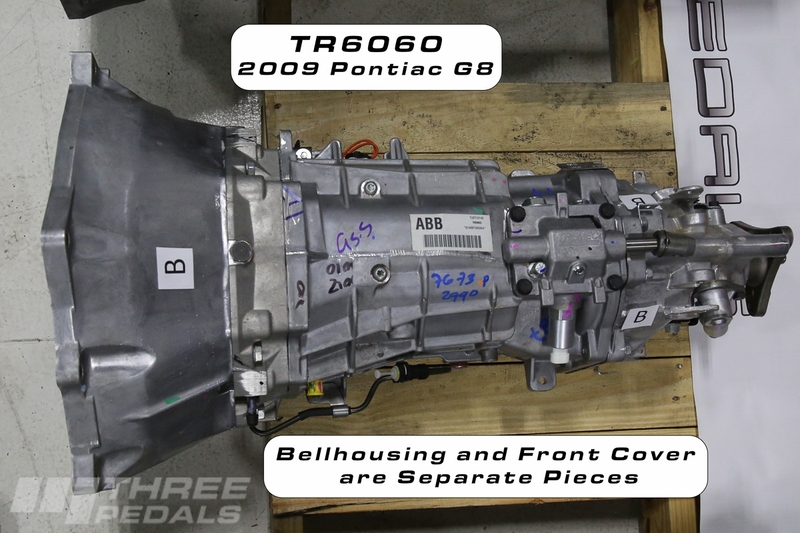 Perhaps you’ve gotten a TR6060 transmission or you are considering one. 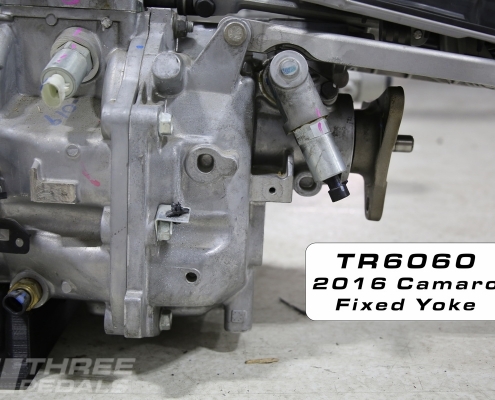 The TR6060 is a great transmission, but retrofitting it presents certain challenges. Here we provide details on the most common questions about the TR6060. Please contact us if you need help with your project. 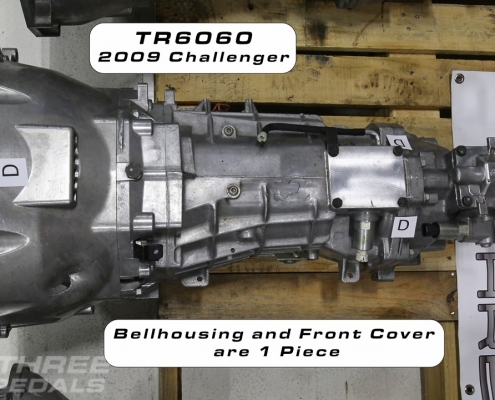 The Tremec TR6060 6 speed manual transmission debuted in 2008 and quickly became a widely available transmission in many new performance cars including the Dodge Viper, C5 and C6 Corvettes, 5th- and 6th-generation Camaros, Dodge Challenger and others. As of this writing in November, 2018, many new cars are equipped with a TR6060. The TR6060 is, in our minds, a “gen 2” T56. 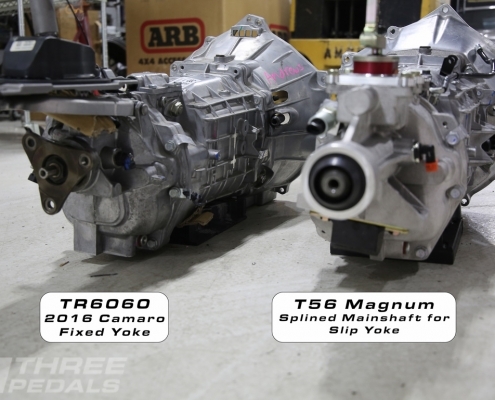 The T56 6 speed manual debuted as a Borg Warner product in the 1992 Dodge Viper and was available in many OEM applications including the 4th-generation (1993 – 2002) GM F-Body (Camaro, Firebird, Trans Am). The TR6060 offers a number of improvements over the T56, which we will detail in a separate tech article, but suffice it to say that increased power capacity and smoother shifting are the key improvements. 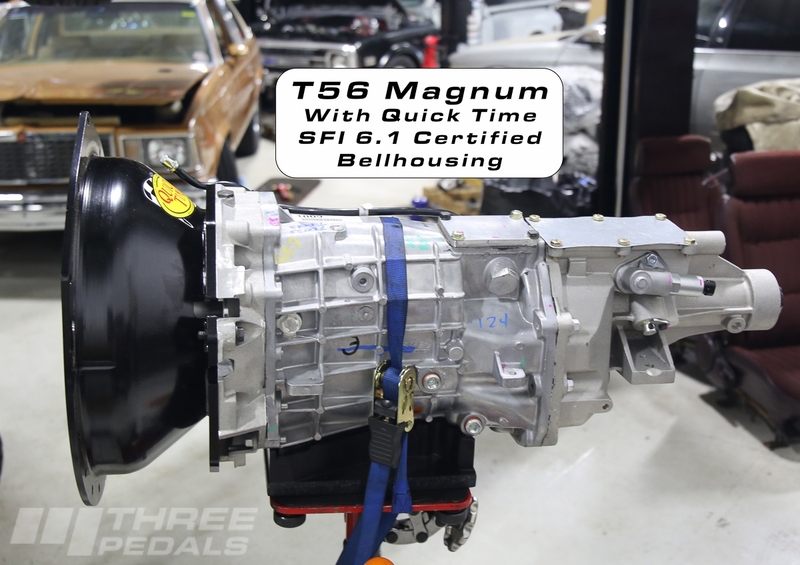 What is a T56 Magnum? 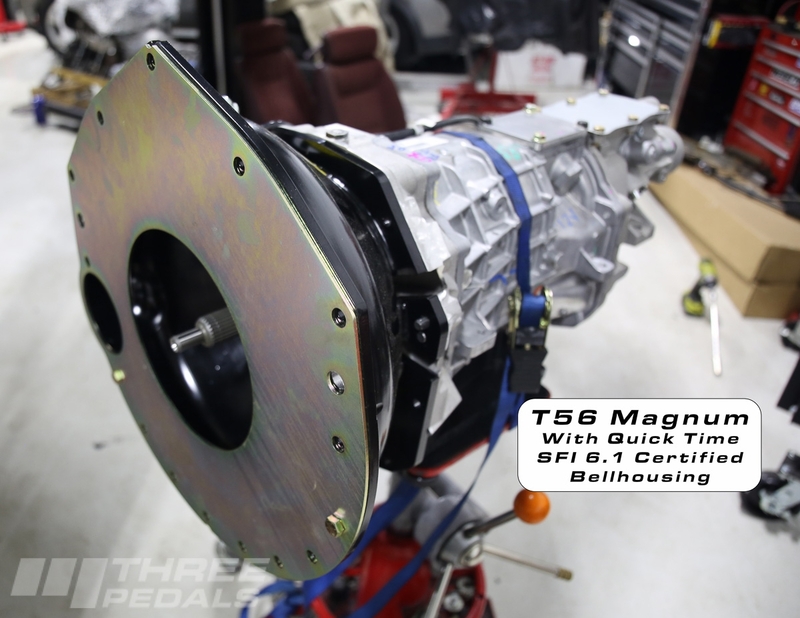 The T56 Magnum is essentially a TR6060 with several design features that make it easier to retrofit. 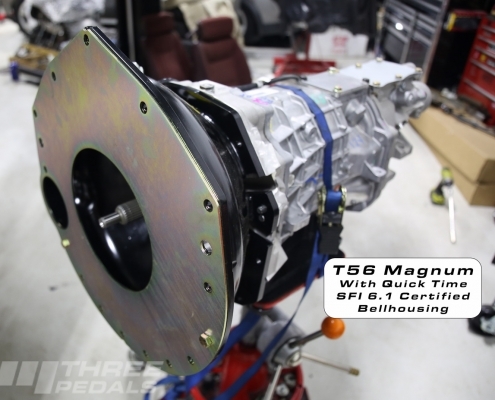 Of course, the T56 Magnum, with largely the same guts at the TR6060, shares in the same improvements over the T56. 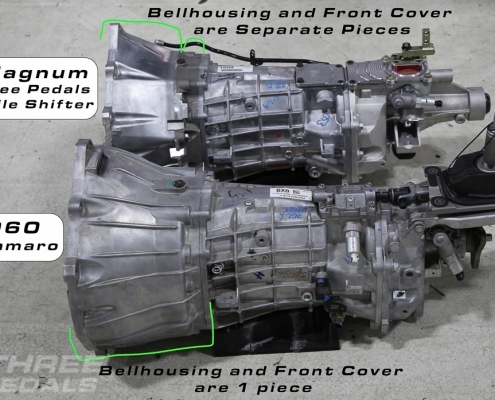 How strong are these transmissions? Whereas most T56s were rated to handle 450 lb/ft of torque, the T56 Magnum is rated to handle 700 lb/ft. 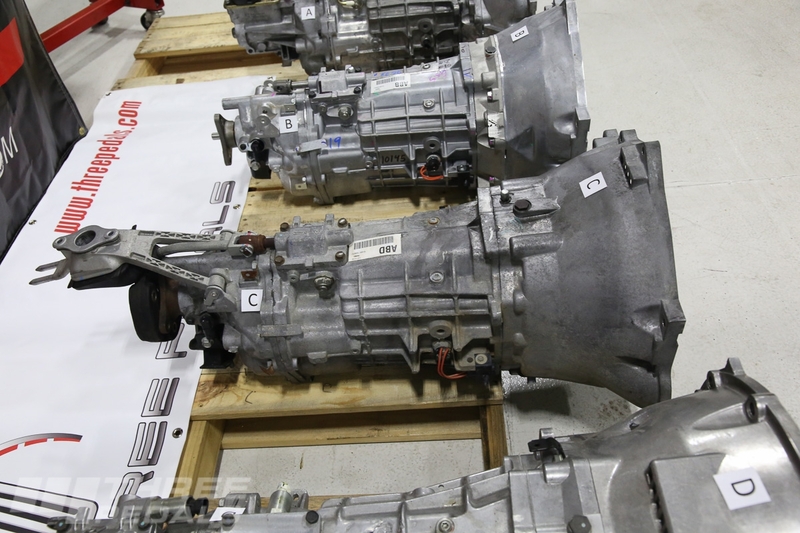 There are numerous different TR6060 torque capacity ratings for OEM applications, but they’re closer to 700 than 450. 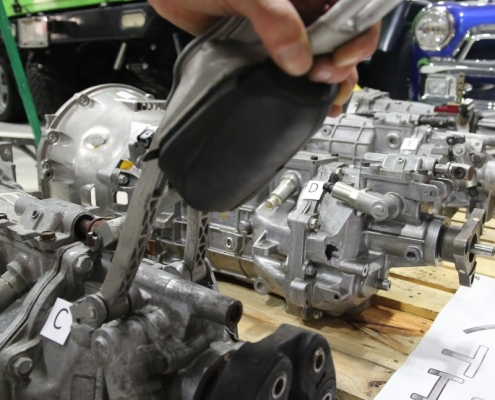 To find out what a particular TR6060 is rated at, it’s best to look it up based on the part number off the tag on the transmission to be sure you know what you’ve got. Are all TR6060s the same? 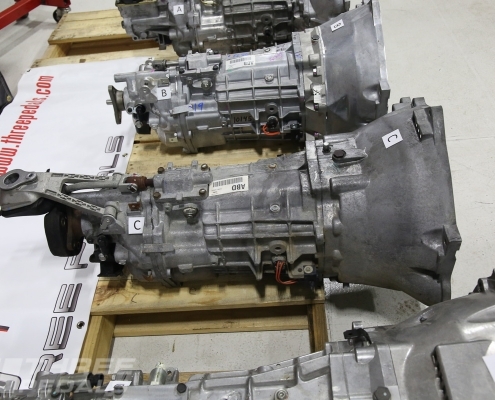 No, there are numerous different versions of TR6060 transmissions for different applications across different OEM brands. 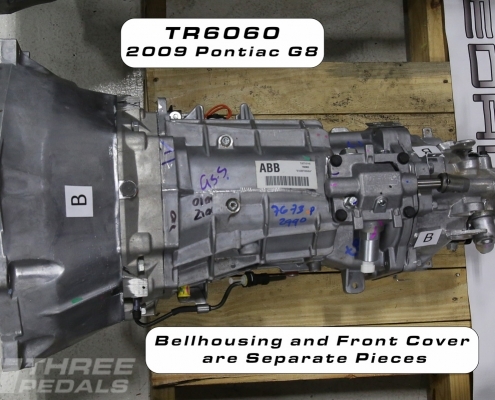 Further complicating matters, Corvette versions of the TR6060 are transaxle designs. 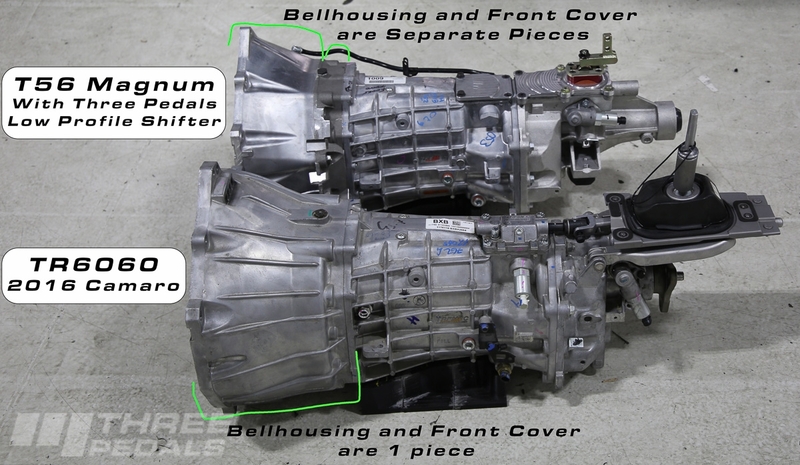 Corvette transaxle versions of the TR6060 are very different from the type most people are looking to retrofit, which is the type that is mounted immediately behind an engine and is by far the most common way to mount a transmission. 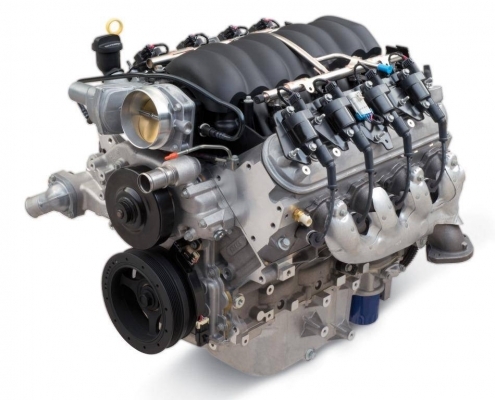 While the transaxle version shares many parts with the “regular” version, we are not addressing the transaxle-specific items here. Should I retrofit a TR6060? TR6060s can often be found at a tempting price, especially compared to a new T56 Magnum which costs $3,195. 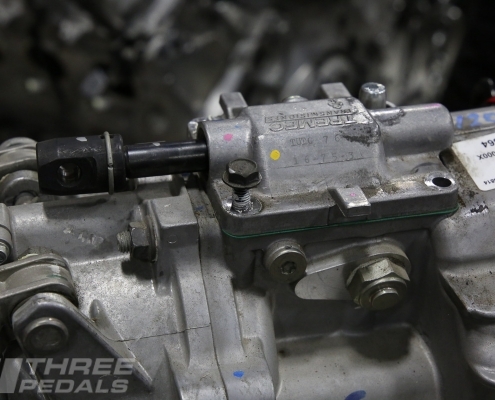 However, the TR6060 can be challenging to retrofit into American cars from the 1990’s and earlier. 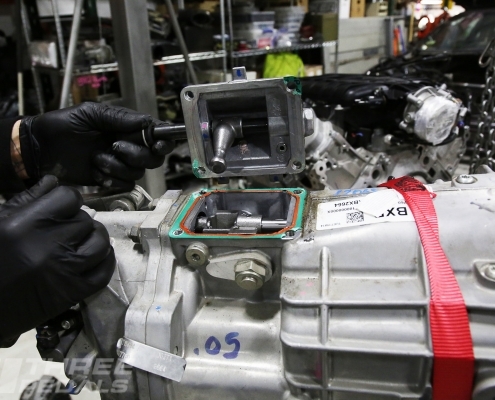 It really depends on what you’re working on – some cars are easy to retrofit a TR6060 into. However, some vehicles are very difficult to retrofit and usually the T56 Magnum provides a better alternative. Our retrofitting guide below highlights the items to consider in making your decision. Please contact us if you would like further advice. What vehicles are better for a TR6060? We will add to this list as we learn. What vehicles are worse for a TR6060? There are a huge variety of combinations one can conjur up in the world of hot rodding. To help the entire universe – or at least as many of you as we can – we crafted this guide to shed light on the most important features of the TR6060 to consider when retrofitting. While we hope this helps you make a decision, we understand that you may still have questions, so we welcome you to start the conversation with us if you need any further guidance. The TR6060 features a semi-remote, aka “divorced”, shifter. 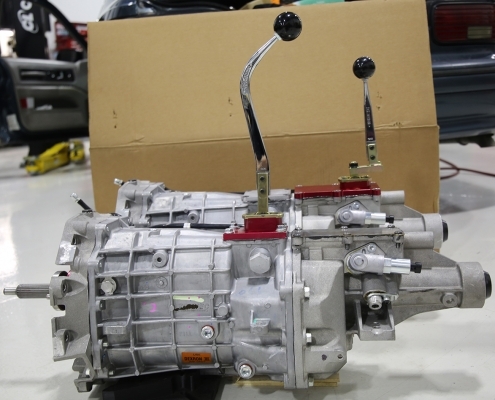 The semi-remote shifter is attached to the transmission by two struts that locate the shifter rearward. 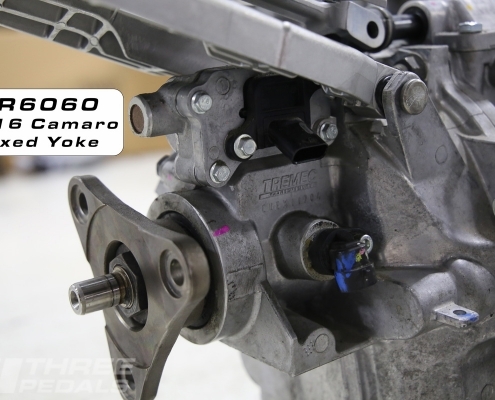 There is a linkage that connects the shifter to the transmission for gear selection. The shifter itself mounts to a corresponding mount in the floorpan. 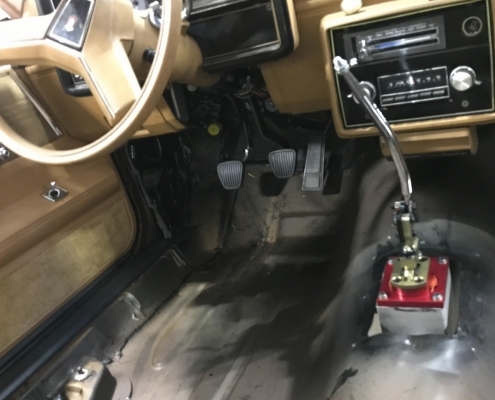 To use the semi-remote shifter, you will need to fabricate a corresponding mount in your floorpan – if you have the TR6060 donor vehicle consider cutting out that floorpan mount and re-using it. 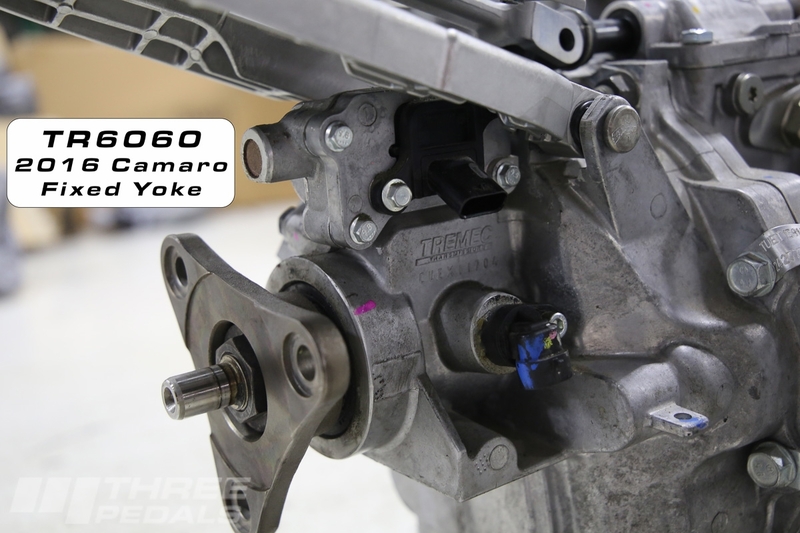 The semi-remote shifters tend to be wide, and high; so in addition to the mount mentioned above, you may have to widen your transmission tunnel as well. Semi-remote shifters tend to locate the shifter farther back than in the T56 Magnum, which may be a good or a bad thing for your application. 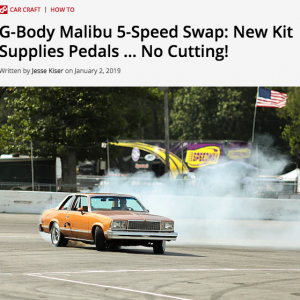 If you’re retaining the semi-remote shifter, there are short throw aftermarket shifters available for firmer, more direct shifts. Please contact us for product suggestions. 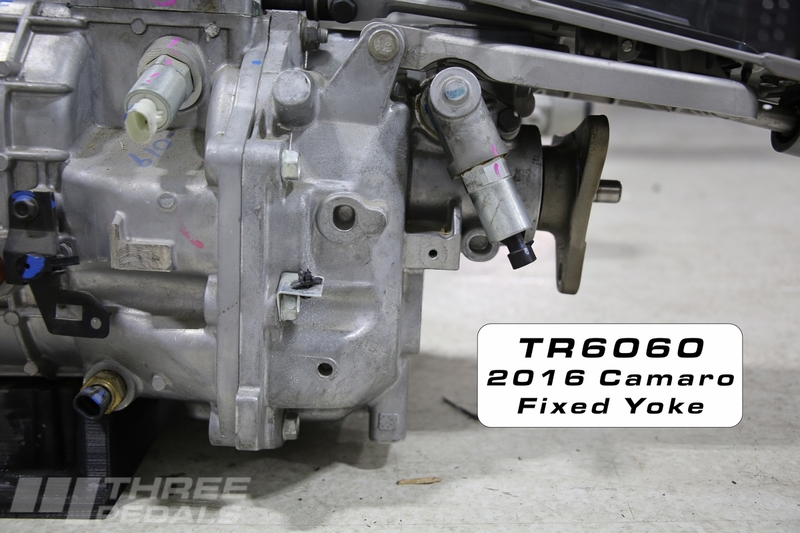 Following are pictures of a TR6060 out of a 2010 Camaro. This was behind an LS3 engine. Alternatively, all TR6060’s can be converted to a direct mount shifter very easily. This weds you to the shifter location on the mid-case. This the exact same shifter position as the front shifter on the T56 Magnum (sold separately from the transmission). 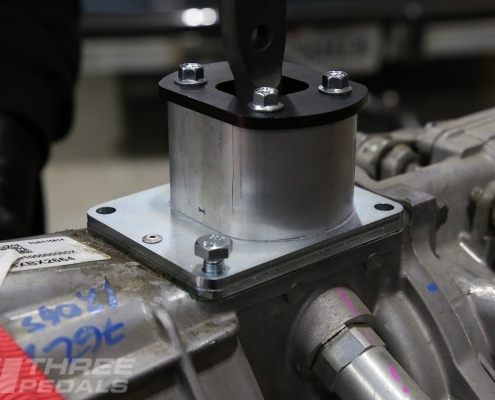 While this is a great alternative for some, the location of this shifter either works for your application or does not. 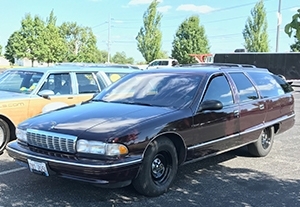 For example, with the 1991 – 1996 GM B-Body, this location sprouts up under the dash and is very difficult if not impossible to make work in these cars. However, in the 1977 – 1990 GM B-Body, this is a great location and is compatible with bench seats, like in our wagon. The T56 Magnum offers a direct mount shifter with 3 different positions. 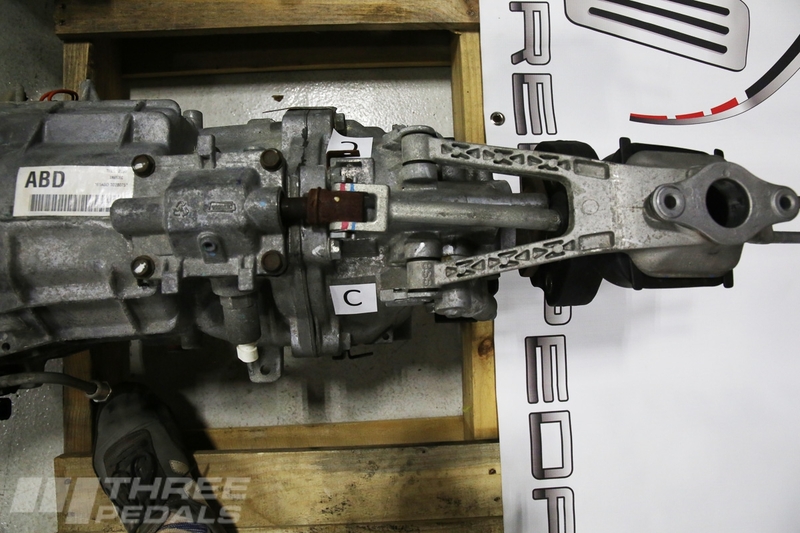 The shifter included with the transmission offers a “Rear” or “Mid” location with 3.6″ of difference between them. Available separately is a “Front” shifter, moving 4.1″ ahead of the “Mid” location, giving you 7.6″ of total fore-aft movement in shifter location alone. The Front shifter for the T56 Magnum is identical to the direct mount shifter for the TR6060. Clever, eh? 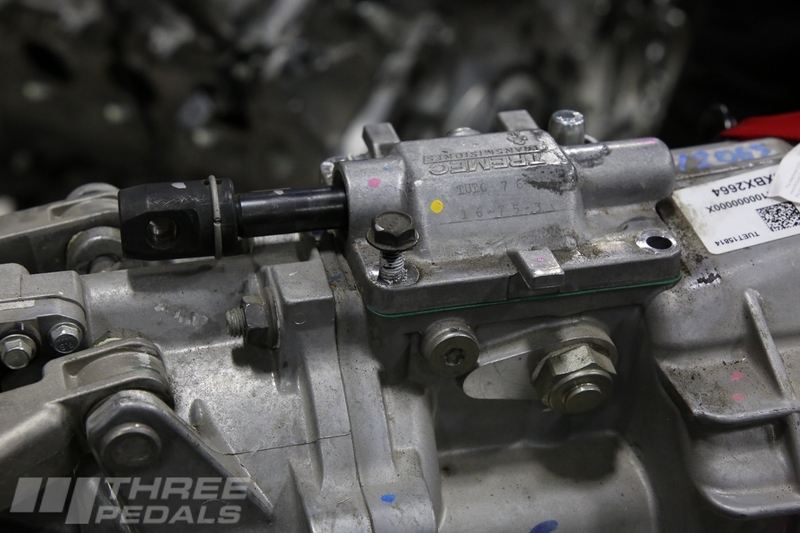 In the photos below we show two different shifters installed in a TR6060 out of a 2016 Camaro. 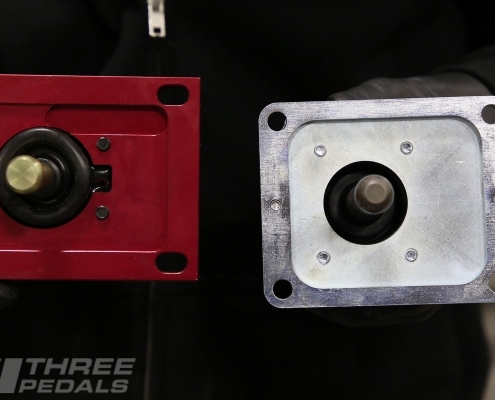 The red one is by Driveline Components and the silver one is by Core Shifters. Please contact us for a shifter quote. The TR6060 is used in OEM applications with independent rear suspension (“IRS”). 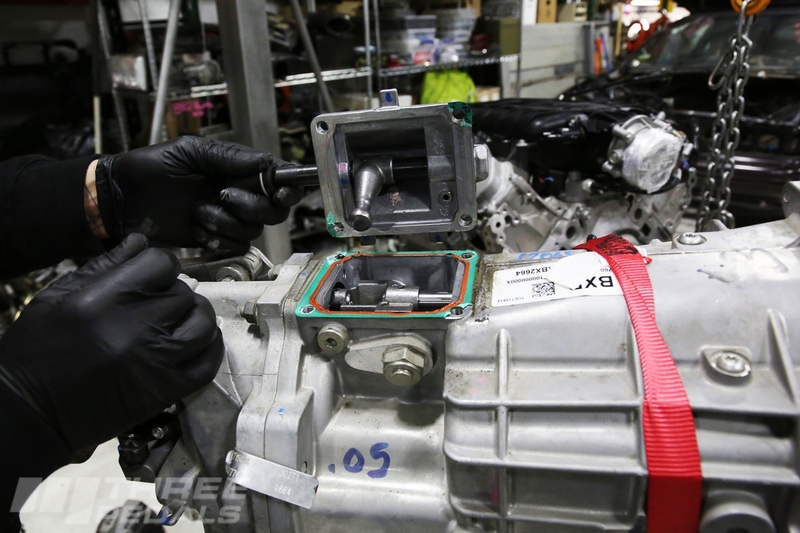 IRS center sections are fixed in position relative to the transmission. 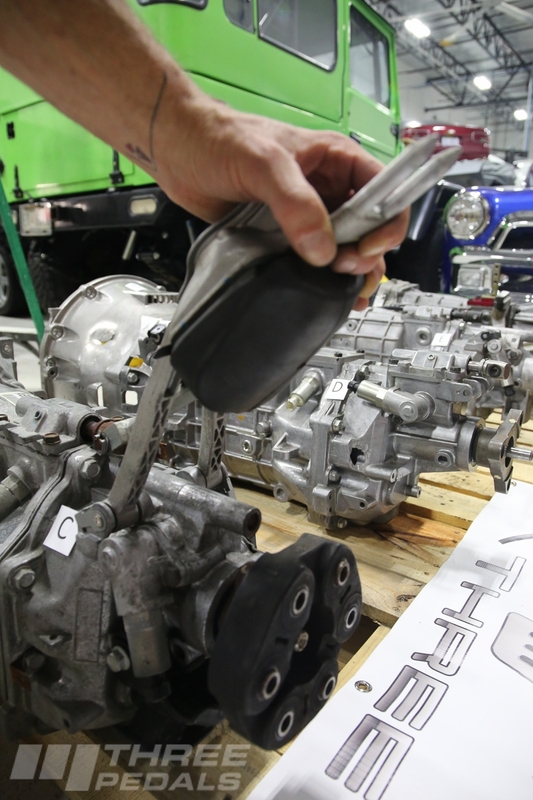 Most retrofit applications in American vehicles are with solid rear axles. With solid rear axles, the center section moves with the entire rear axle, and these vehicles come with a slip yoke to allow the driveshaft to effectively extend and shorten in length slightly as the rear axle moves through its range of motion. To use a TR6060 in a car without independent rear suspension, you’ll need a driveshaft that has a slip component as well as a CV joint built in. 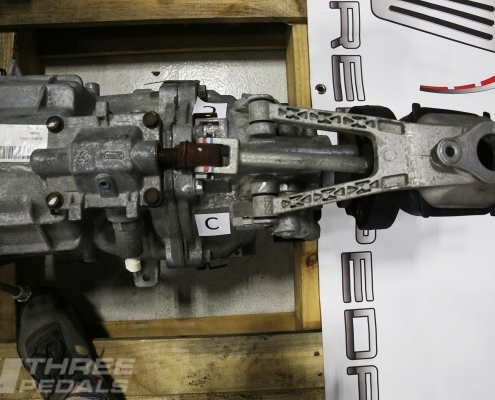 These features tend to roughly double the cost of your driveshaft. For example a 3.5″ aluminum high speed balanced driveshaft for a T56 Magnum with heavy duty u-joints costs $551. The equivalent version for a TR6060 in a solid rear axle car costs approx. $1,200. 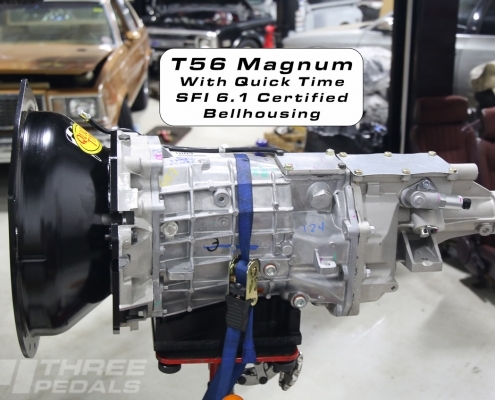 The T56 Magnum features a slip yoke setup and is easy to retrofit with a solid rear axle. The TR6060 only offers an electronic speedometer output. If you wish to run a mechanical speedometer, you’ll need an external converter box like this one from Speedhut. If you need the wiring harness for your TR6060, please contact us as there are many different versions and we don’t have them all on our website just yet. 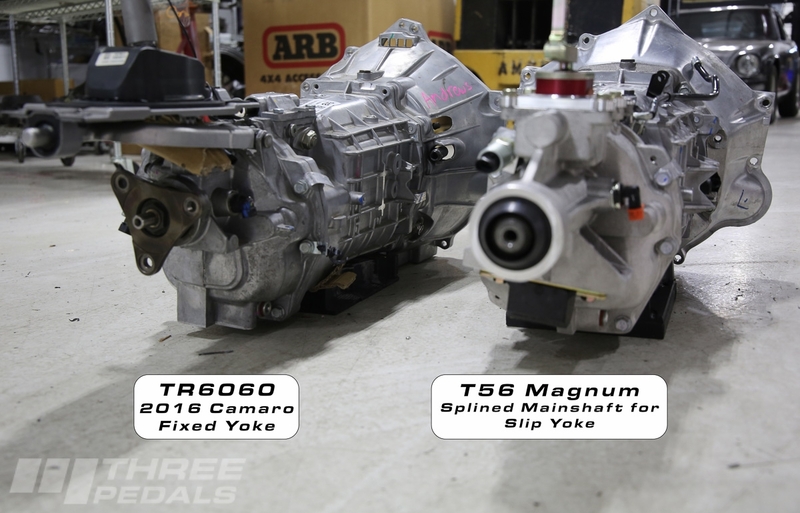 The T56 Magnum offers both electronic and mechanical speedometer outputs. The electric speedometer is a 2 wire setup and we offer the wiring harness. Mechanical speedometers will require the correct gear and may very well require either a custom speedometer cable or adapters. Contact us for details on running a mechanical speedometer. 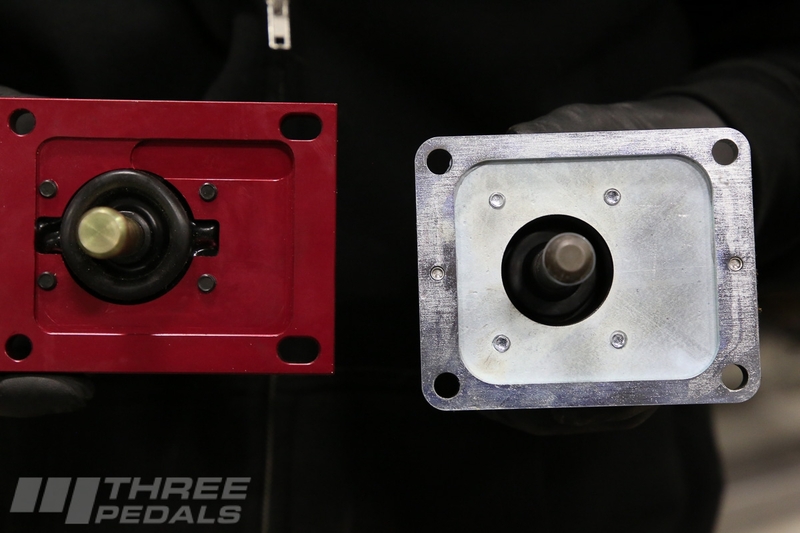 There are various versions of TR6060 tailhousings, but most tend to have a transmission mount that is very different from the old-school style. For certain versions there are adapters available that allow you to run a more traditional mount. The T56 Magnum offers a traditional style mount with two different bolt widths. This next difference may or may not bother you. 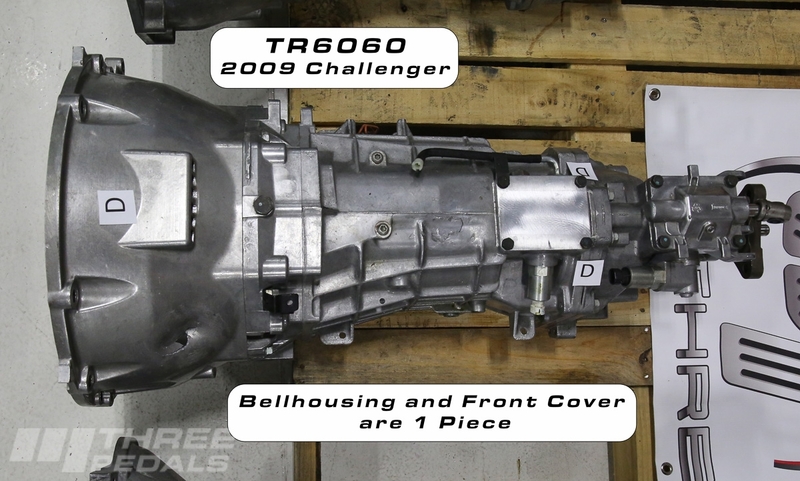 Most TR6060s use an integral bellhousing. 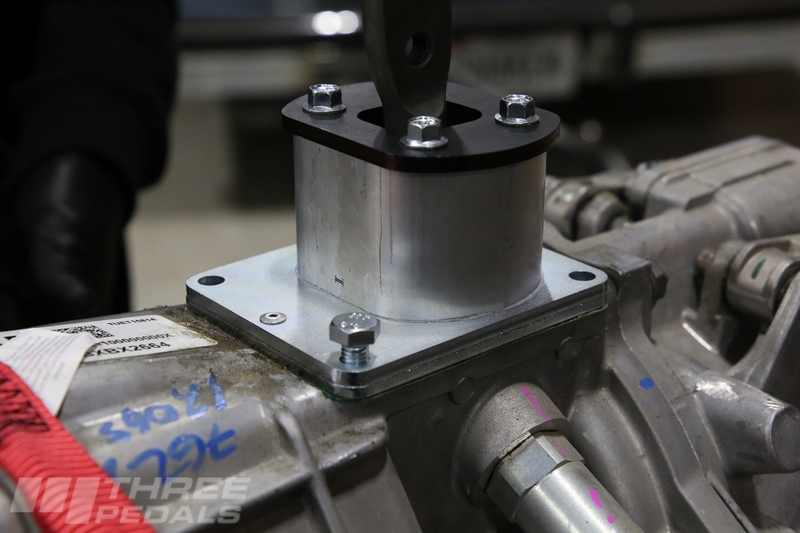 For those of you who either want or need a different bellhousing – whether it’s to mate to a different engine or to upgrade to an SFI 6.1 certified bellhousing – an integral bellhousing is not your friend. 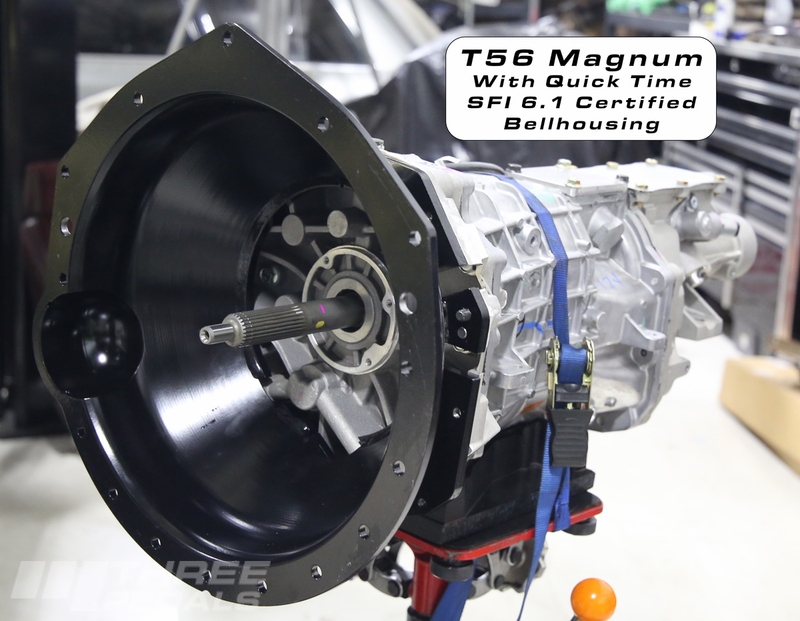 The T56 Magnum uses a separate bellhousing and we regularly use SFI 6.1 certified bellhousings in our builds. It seems a good time to mention that because of the wide usage of the TR6060 across GM, Dodge, and others, be sure to confirm you’re getting what you want when buying one. The TR6060 has a gerotor pump built into it for circulating fluid to an external cooler. The relevant pump bits are in the front cover. This is a nice feature so we recommend you retain it when you use a TR6060. We like to run an external electric pump on the T56 Magnum as it is not setup for a gerotor pump. While it can be machined to accept a gerotor pump, we feel an electric pump is a simpler solution that can be equally as effective when done properly. Though perhaps not as robust as a gerotor pump, quality electric pumps are available and we offer kits that make installing a transmission pump and cooler easy. These will be on our website shortly, in the meantime please contact us for fluid pump details.